Behold the Golden Dinkle Award. A local high school gives it out to the band member who hasn’t lost any parts of his or her band uniform when they’re turned in at the end of marching season. 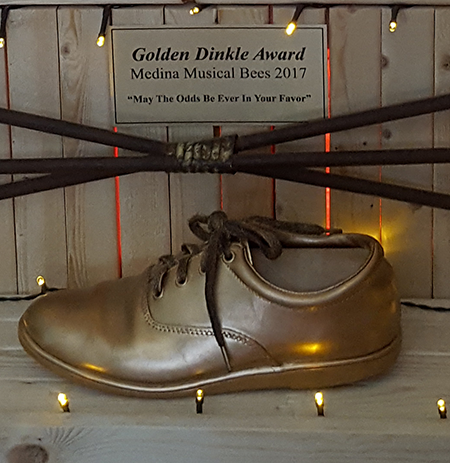 Up- Front Footwear has been making the Harry L. Dinkle band shoes for so long that the name “Dinkles” is virtually synonymous for band shoes, thus making a gold “Dinkle” the perfect choice to symbolize perfect uniform care. I love it!